Earlier, I shared my 1st day presentation and daily agenda that I will be using this year. I also shared a great link on the Just FACS website page about having a great 1st week that included some very creative Icebreaker activities. Below, you can check out the ones that I will be using. I always like to be overly prepared so I have more than one activity even though my classes are 55 minutes long. Also, all of my classes will probably not do all the same activities. BINGO is the one that will be used with all classes because it reviews information that I will have covered. 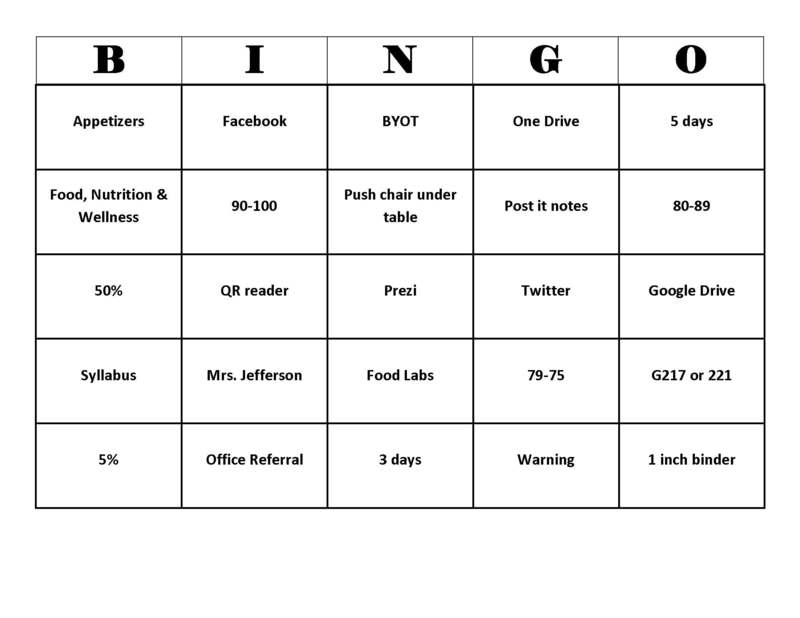 Students will play BINGO over the information we have just covered in the First Day presentation to help reinforce their knowledge of understanding of my class procedures, expectations, and rules. 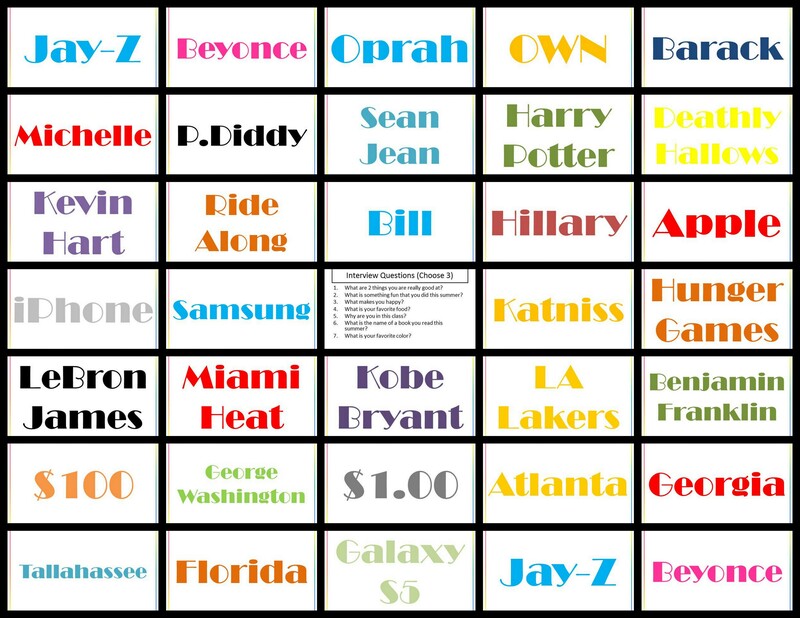 I used www.freebingomaker.com to make the Bingo cards. What I love about this Bingo website is that it allows you to make several random cards so that they are not all the same, it is free, and it opens in word so you can edit it by adding clipart, names, etc. 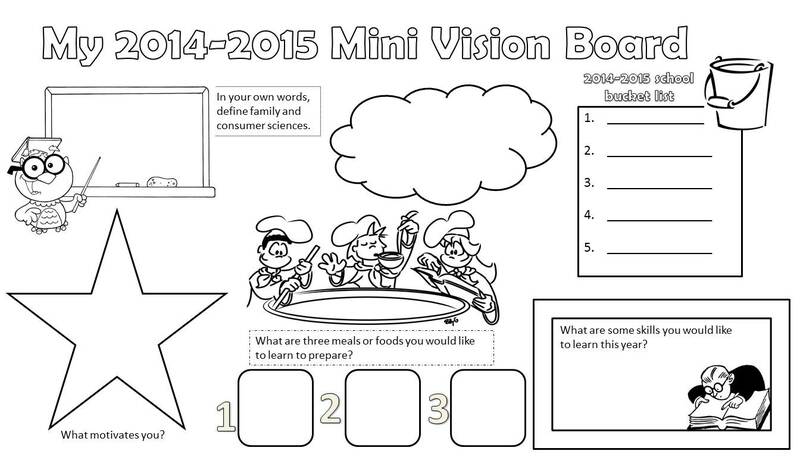 Students will complete the Mini Vision Board Worksheet by filling in personal information such as their definition of FACS, what motivates them, Skills they would like to learn and more! I haven’t decided whether or not to do this with only my beginners (9th graders) or all levels. These worksheets were printed on 8 x 14 paper! I felt like this would be a wonderful activity to get the students up and moving. It also would make the students that are new to the school feel more comfortable as well. Check out the cards I made below that were printed on index cards. I put the terms to be matched on the front and interview questions (They will choose at least 3) on the back. Make sure when printing these that you change your printer settings to 3 x 5 index cards!